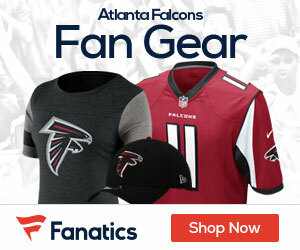 In a game between two powerhouses in the NFC, the Falcons made another statement in looking to secure home field advantage in the NFC by beating the Green Bay Packers 20-17 at the Georgia Dome. And the win for the Falcons brings them a whole lot closer to being at home. They are 9-2, and if they can secure home field in the NFC, they will be that much closer to a trip to Dallas to play the team in the AFC in Super Bowl XLV. Matt Ryan was 24-for-28 with 198 yards and a score and Michael Turner added 110 yards and a touchdown on 23 carries for the Falcons (9-2), who have won their past five games. 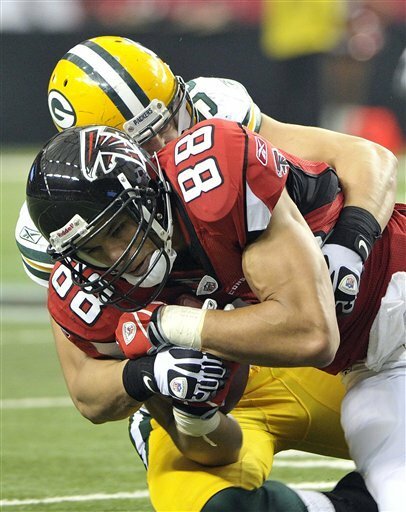 Tony Gonzalez had six catches for 51 yards and a touchdown in the victory. Aaron Rodgers finished the contest with 344 yards and a score on 26-of-35 passing and added 51 yards on 12 carries with a touchdown for the Packers (7-4), who came into the contest with a four-game winning streak. Jordy Nelson caught a touchdown pass that had tied the game in the final minute. The Falcons got the win though when Eric Weems returned the kickoff to the Atlanta 36 and a facemask call against Matt Wilhelm moved the ball past midfield. “To get the ball near midfield to start the drive and knowing you need only 20 yards or so makes things a lot easier on the offense,” said Ryan. Four straight completions by Ryan totaled 20 yards and moved the ball to the Green Bay 29. After an incompletion, Bryant connected on his first attempt, but Green Bay had called timeout prior to the kick. Unfazed, Bryant hit the next one true with nine seconds left for a 20-17 lead. “I can’t say enough about Matt, he kicks it between the pipes every chance he gets,” said Smith. The Falcons will look to stay atop the division next week when they play in Tampa vs the Bucs.